Dubai Wrestling Entertainment (DWE) 2013... The DWE 2013 was the first ever local wrestling entertainment in Dubai. The participation of international wrestlers attracted over hundreds of fans, and it has come to stay as a yearly event. FINA/ARENA Swimming World Cup 2013 The FINA Swimming World Cup held its fourth global round here at the Hamdan Sports Complex. The nations that hosted the Cup matches were Netherlands, Germany, Russia, Singapore, Japan, China, Qatar and the UAE with Dubai holding the first Asia-region rounds. 17th Asian Senior Men’s Volleyball Cha... Held twice a year and organised by the Asian Volleyball Confederation, this event was bigger and better than ever before with 25 teams participating including current tournament champion Iran and runner-up China along with Australia, Japan and Korea. 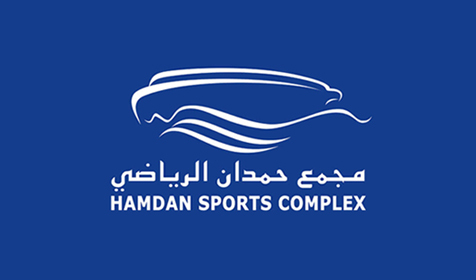 ReVCon UAE 2013 The first international convention and exhibition held at Hamdan Sports Complex, the motivational convention attracted over 3000 guests to this 4-day event.